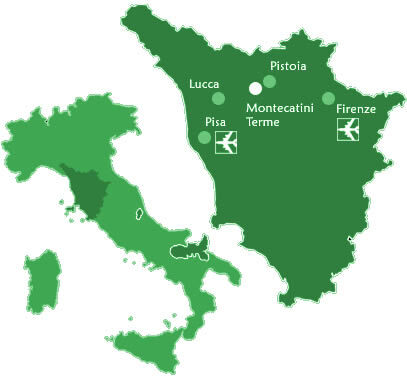 Montecatini Terme can be easily reached from any part of the Europe or the world. Through the motorway and the railway it is easily connected to Florence and Pisa airports, which can be reached in 30 minutes. Montecatini is located halfway between Florence and Pisa. Both cities can be reached in about 40 minutes by car.